The forty shades of the green hills of Clare peek above St. Michael's Church on Inis Cealtra, also called Holy Island. 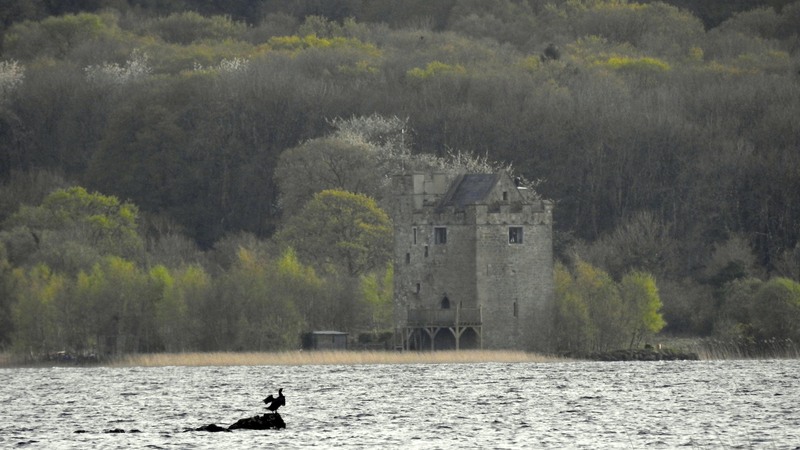 Legend says it was built by Brian Boru in the 10th century. 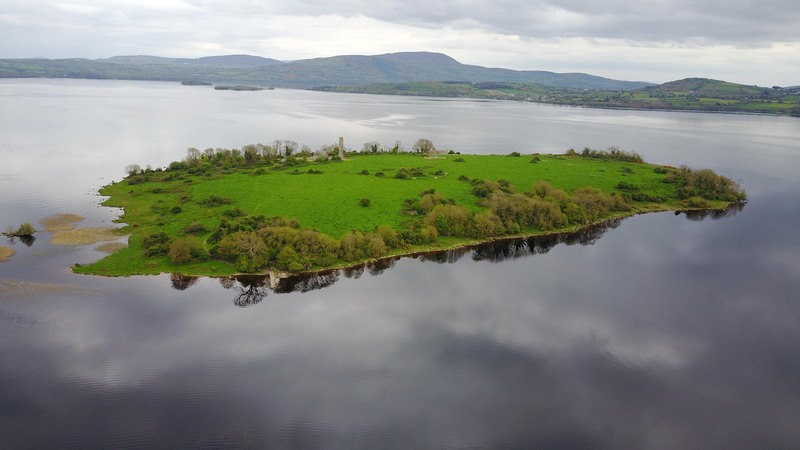 With the use of audio tours and drones, one of the most beautiful counties in Ireland is captured in all its glory. “It’s a long, long way from Clare to here.” These may be the words of a popular song but have you ever stopped to wonder why the singer misses this Irish county so much? What attractions does it have to offer? There is a huge amount to see and do in this county. It has some of the most varied scenery of any county in Ireland. There are the spectacular Cliffs of Moher which stretch for five miles and reach over 700 feet at their highest point. A view of Inis Cealtra from the air. There’s the lunar-like limestone landscape of the Burren, which is home to remarkable flora that you won’t find anywhere else as well as some wonderful archaeology such as Stone Age wedge tombs, Iron Age ring forts, and Norman castles. There are seaside villages such as Doolin, Lahinch, and Spanish Point, which have begun to build reputations as surfing spots in recent years. Clare is also one of the centers of traditional music in Ireland. Well-known musicians such as fiddle player Martin Hayes and accordion player Sharon Shannon are from the county and you’ll often find some of the best Irish musicians playing in impromptu music sessions in the pubs of County Clare. Autumn is a beautiful time of year to visit Clare. 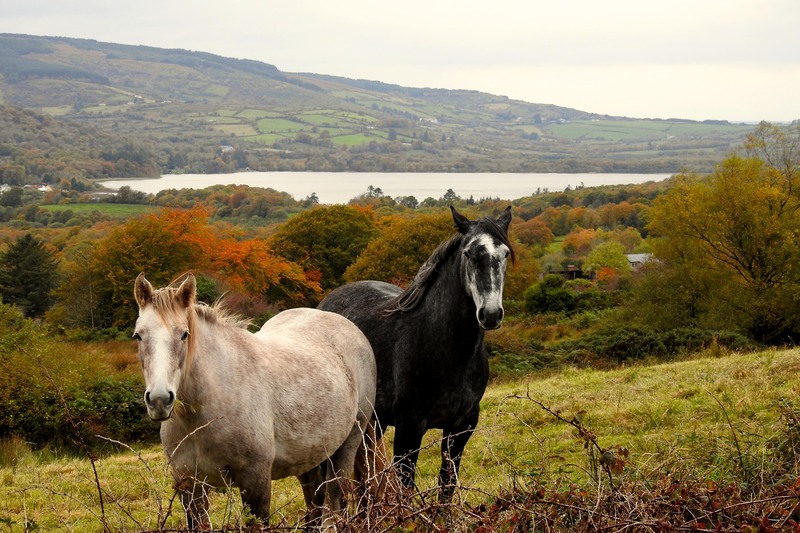 These inquisitive horses have a view of Lough Graney from the Sliabh Aughty Mountains near Caher. As if that weren’t enough, Clare is also home to the Tea and Garden Rooms in Ballyvaughan. Stephen Spielberg made a detour in his private jet the last time he was passing just so he could sample some of their cheesecake. With all of this and more on offer in Clare, it’s no wonder that the singer of the popular ballad laments the fact that he is so far away. However, thanks to videos made by Irishman Eoin O’Hagan and a new travel app made by Cleveland native Deborah Schull, that distance is about to feel a whole lot shorter. Bohatch Dolmen. 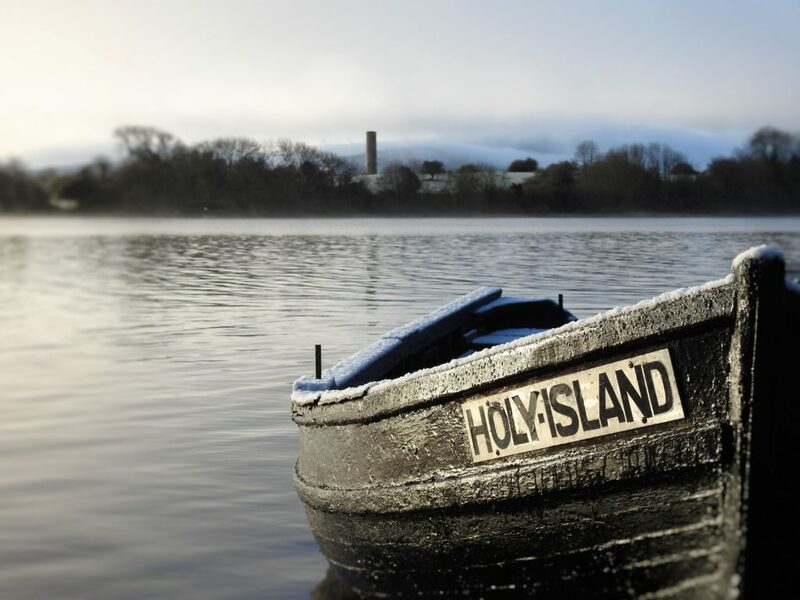 A short hike from Mountshannon will bring you to arguably the most spectacular vista of the Jewel of the Shannon. 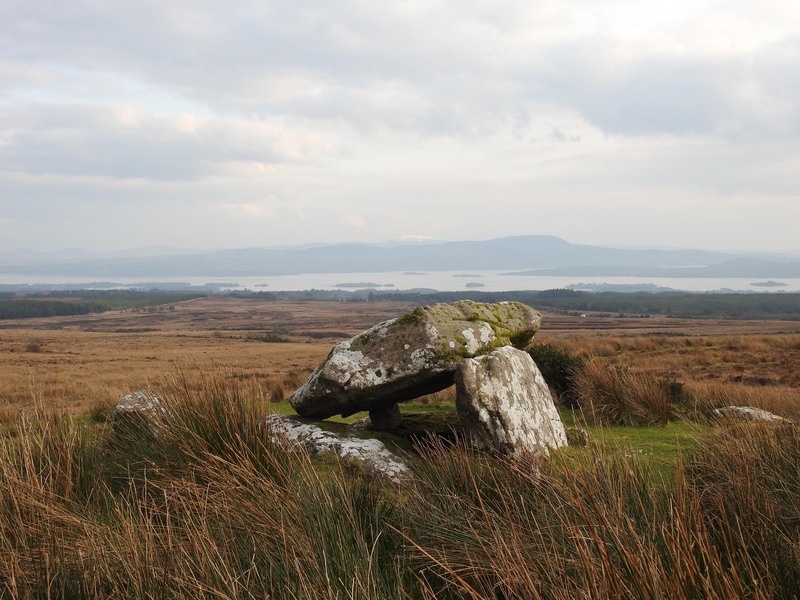 This 5,000-year-old tomb is a beautiful and historic place on the East Clare Way, which meanders through the Sliabh Aughty and Sliabh Bernagh Mountains. 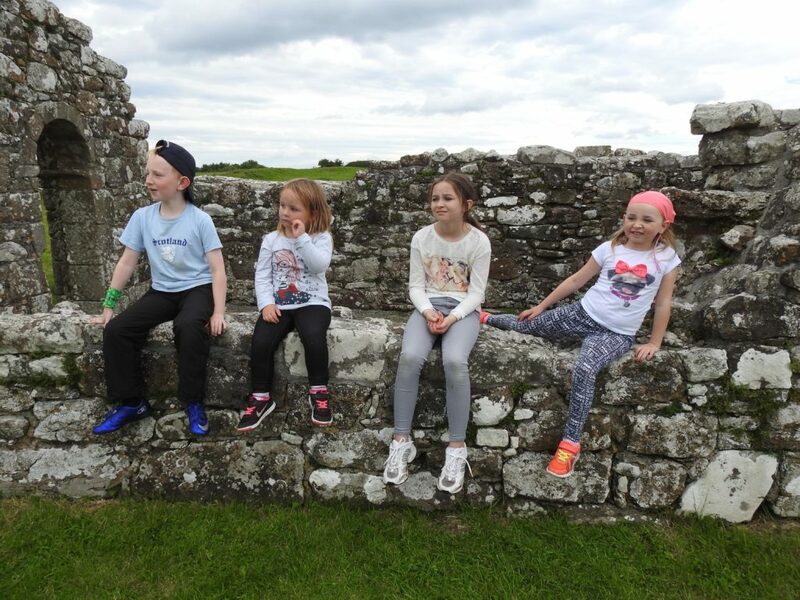 Cousins Jordan, Aoibheann, Grace and Ellen O’Hagan enjoy a Summer trip to Inis Cealtra. He would love to spend more time in Clare and he has set up clarevirtually.ie, a web-based business, with this in mind. 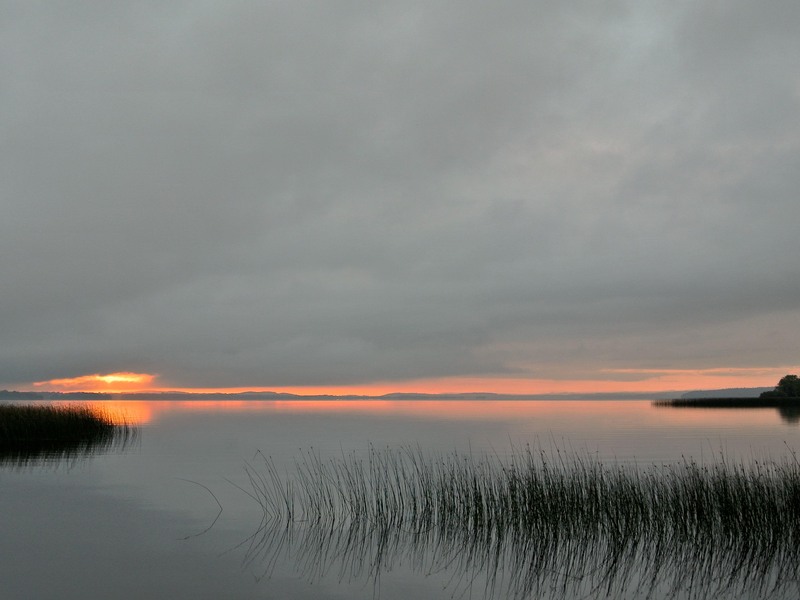 Through it, Eoin hopes to show people the beauty of Clare through his eyes. He does this by posting 60-second videos of different parts of the county as well as its pubs, restaurants and accommodation providers. The Holy Island Ferry, a dusting of winter snow on its gunnels as it floats at Knockaphort Pier. 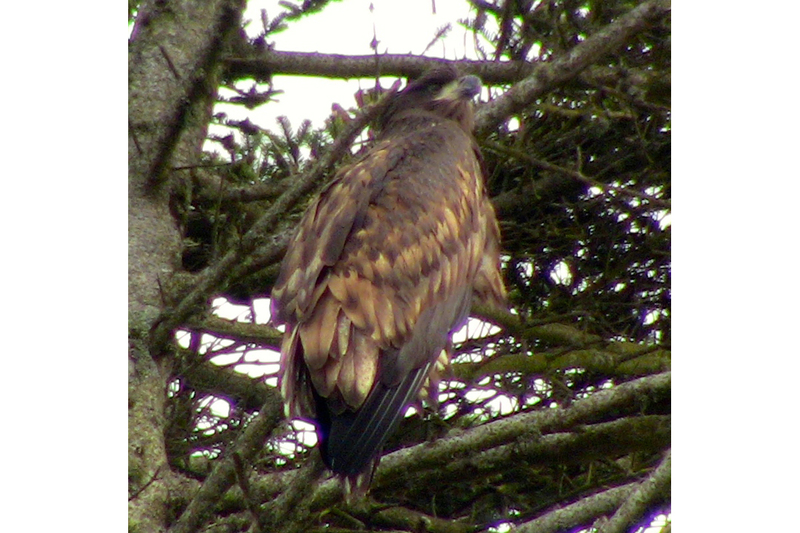 Eoin’s photos and videos allow prospective visitors to take a virtual tour of Clare before they arrive. People who have emigrated from Clare have also begun to visit the site too. Castlebawn is a beautifully restored Tower House on a tiny island below Ogonnelloe, on Lough Derg. This exclusive but easily affordable getaway is available to rent on Airbnb. Eoin’s website is just one of the ways in which he promotes his adopted county. He is very active on social media and posts from @clarevirtually can be found on Twitter, Instagram, Facebook, YouTube and Pinterest. Deborah Schull has taken a different approach in her attempt to promote County Clare. This award-winning writer and producer is also the founder and CEO of Cultural Roadmapp, a GPS-enabled tour app of Ireland’s Wild Atlantic Way. A white tail eagle chick sits on a branch above Mountshannon Pier. This is going to be a four-part series of audio tours that will provide motorists with a commentary on what they are seeing as they take this scenic route up the west coast of Ireland. She has just launched the first part, which focuses on Clare, and Irish America is premiering some of the stops on the audio tour. This fine trout was a worthy winner of the Jimmy “Crock” Minogue Memorial Flyfishing Competition. 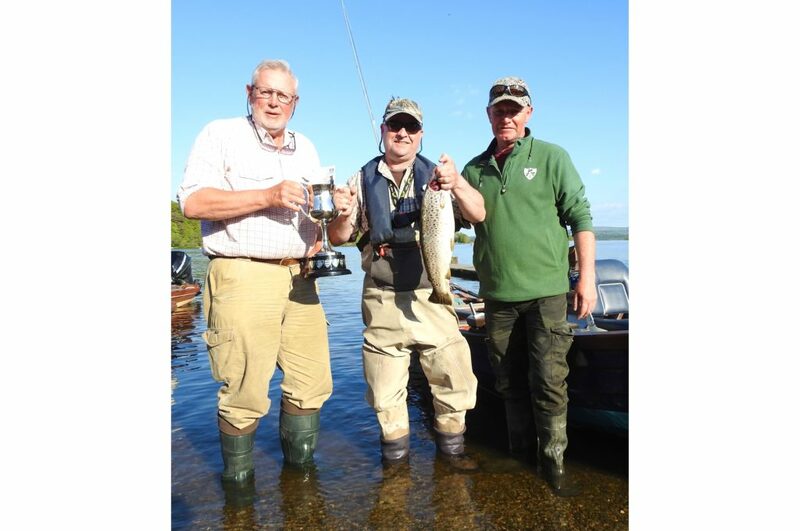 Held annually on the first Sunday in May, it is a great social occasion as anglers meet and swap stories of the one that got away. It was to be another 40 years before Deborah returned. In the meantime, she established herself as an award-winning audio tour writer of prestigious destinations such as the Smithsonian Institute and the Ronald Reagan Presidential Library and Museum. Dawn on Lough Derg, the jewel of the Shannon. Worth getting up early for. Deborah and her business partner, Dr. Leah Bernini Cronin, an ethnomusicologist trained at the University of Limerick, interviewed these local experts last September and she has spent the intervening months weaving their insights on history, music, folklore, geography, archaeology and storytelling into a compelling audio guide to the county. The guide features music, literary, and dramatic performances, stories, humor, and narration by Irish actors. Visitors who use the app as they travel along the Clare section of the Wild Atlantic Way will learn about the county in a novel way. What they might previously have learned from having their head stuck in a book can now be learned while looking out the window. 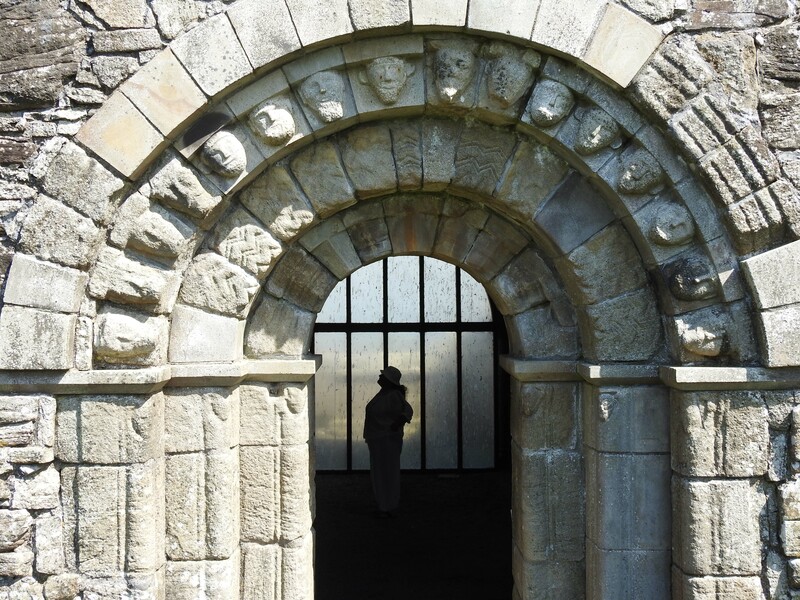 Ruth O’Hagan pictured inside the 1,000-year-old St. Brigid’s Church on Inis Cealtra. The next three parts of the Wild Atlantic Way Cultural Roadmapp will be launched next year. One part will cover Cork and Kerry. The second will cover Galway and Mayo and the third will cover the counties from Sligo to Donegal. “If those do well, I’d love to do a guide to Ireland’s Ancient East and to the Giant’s Causeway in Northern Ireland,” says Deborah. Sharon Ní Chonchúir lives and works in west County Kerry, and much of her writing is concerned with the changing face of modern Irish culture. You can view more of Eoin O’Hagan’s videos on clarevirtually.ie or on his YouTube channel. The audio tour app will be available for free from June 21, 2017 onward at www.CulturalRoadmapp.com or by searching CULTURAL ROADMAPP in the App Store and Google Play Store. Congratulations for Deb Schull seeing her project through from an inspirational dream to reality.